The highway connecting Mangan with Chungthang in North district has been reopened for light vehicles with the Border Roads Organisation temporarily restoring the bailey bridge that collapsed over a stream at Rit Chu. North District collector Karmpa Bonpo today said around 250 small vehicles like SUVs and cars carrying about 2,400 tourists had headed for destinations like Lachen, Lachung, Yumthang valley and Gurudongmar lake this morning. "The bailey bridge which had been washed away by rain on May 17 was temporarily restored around 3pm yesterday. As of now, only light vehicles are allowed to pass through the bridge," said Bonpo. Following the bridge collapse, over 300 tourists returning to Gangtok from Lachen, Lachung, Yumthang valley and Gurudongmar lake were left stranded. Villagers and police built a log bridge over the stream the following day and arranged transport for the stranded tourists. The bridge, part of the North Sikkim Highway, has the North District headquarters, Mangan, on one side and Chungthang on the other. 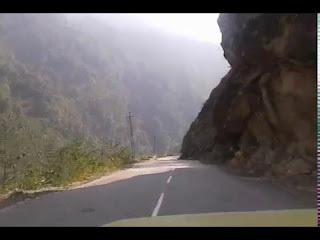 On May 28, police check-post here resumed issuing permits to tourists bound for north Sikkim after taking an undertaking that they were making the visit at their own risk. As the bridge was yet to be restored, tourists had to take a taxi up to Rit Chu and then cross the affected stretch on foot. They had to get into another taxi to reach the destinations. Rit Chu is around 75km from Gangtok. The collector said the bridge would be reopened for heavy vehicles only after the strengthening work was over. "To enable the BRO to strengthen the bridge, it has been decided to close the road for traffic at Rit Chu from 10am to 12am and from 2pm to 4pm for a few days," he added. A senior BRO official said it would take at least 10 days to completely restore the bridge and open the road for heavy vehicles. Tour operators are happy with the reopening of the highway at Rit Chu.